Talk about vacationing like royalty. HomeAway, a leading vacation rental company, is giving away a five-night stay at a 14th-century Scottish castle. And because the lucky winner will be staying in a castle, of course, they'll need an entourage. But that’s okay because this royal package includes all travel arrangements fro up to 20 people. The promotion, launched by HomeAway in partnership with Disney, celebrates the live-action adaptation of “Beauty & The Beast,” which stars Emma Watson and Dan Stevens, and premieries on March 2, 2017. 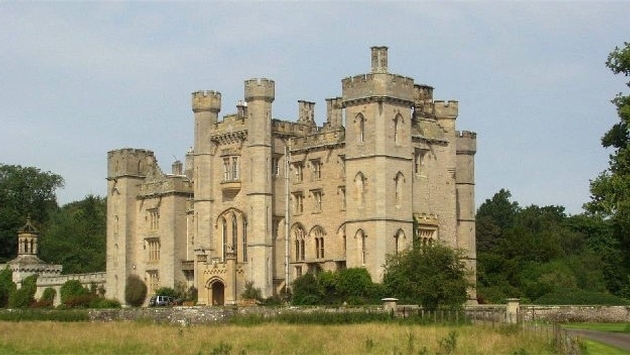 The winner and his or her group will have the will have the entire castle to themselves, including 1,200 acres of land, where they can practice their archery of falconry skills. Talking to the furniture—in particular the candle sticks and the grandfather clocks is permitted, even encouraged, but no promises as to whether this furniture will respond in kind as it does in Disney’s anticipated film. "Our mission at HomeAway is to help families and groups make unforgettable vacation memories and to be part of this once-in-a-lifetime opportunity," said Steve Stamstad, HomeAway's global brand vice president. "Whether staying in one of our hundreds of castles spread across the world, or even in a simple beach bungalow, we provide more than two million unique places to stay and help travelers get HomeAway from it all." The contest is open to travelers from the US; residents of France, Germany and the UK can also enter to win a stay at the #HomeAwayCastle. To enter, simply visit www.HomeAway.com/Disney by March 31, 2017. HomeAway is also giving away one trip for four to Hollywood to attend the world premiere of "Beauty and the Beast.” The prize package includes including roundtrip airfare, spending money and a three-night stay in a lavish Los Angeles villa from the HomeAway collection. Enter to win the Hollywood getaway at www.homeaway.com/lp/beautyandthebeast.